Rich Vogt in a Black Hawk helicopter. With two tours in Iraq, a stint as a surfer, countless jumps from airplanes and rides in Black Hawk Helicopters, you’d expect Rich Vogt’s next adventure to involve an extreme physical challenge. But after a 10-year career with the armed forces, Rich chose Dev Bootcamp over Boot Camp, and ultimately, a career as a developer at Signal. 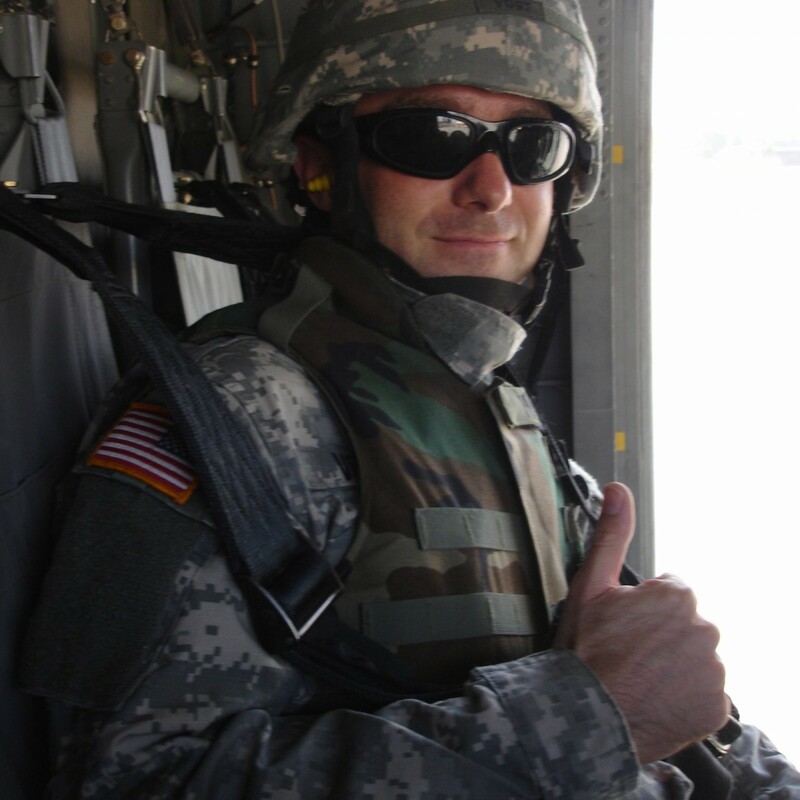 Rich’s journey to Signal started back in 2000, when he joined the National Guard to help pay for college, taking his first programming courses in C++ and Java. While he found the work he did with the Guard enjoyable and rewarding, his computer science courses were frustrating. “I didn’t take enough time to just enjoy the process of getting the computer to do what you wanted it to do,” he says. So Rich dropped out of the computer science program and decided to pursue the Army full-time. He went to basic training in Oklahoma to become an expert at firing M119 Trailed Howitzers. Rich stayed in the field artillery field (so to speak) for the next few years, until a large reorganization in the army afforded him the opportunity to get training as a photographer. “I was getting bored with the gun thing,” he says. Soon after, Rich was deployed to Mosul in northern Iraq, where he lived in barracks in one of Saddam Hussein’s bombed-out palaces. As the commanding general’s personal photographer, Rich traveled via Black Hawk helicopter everywhere the general went, taking photos of castles and buildings, Iraq’s first post-Saddam elections, and Iraqi and U.S. soldiers at work. After nine months, Rich returned to the U.S., and then headed to Fort Benning to train as a military officer. He got his paratrooper training at Jump School and then started Ranger school, but ultimately decided it wasn’t the right fit, either. So he returned to Iraq, this time on a desolate base near Amarah. The war was nearly over. 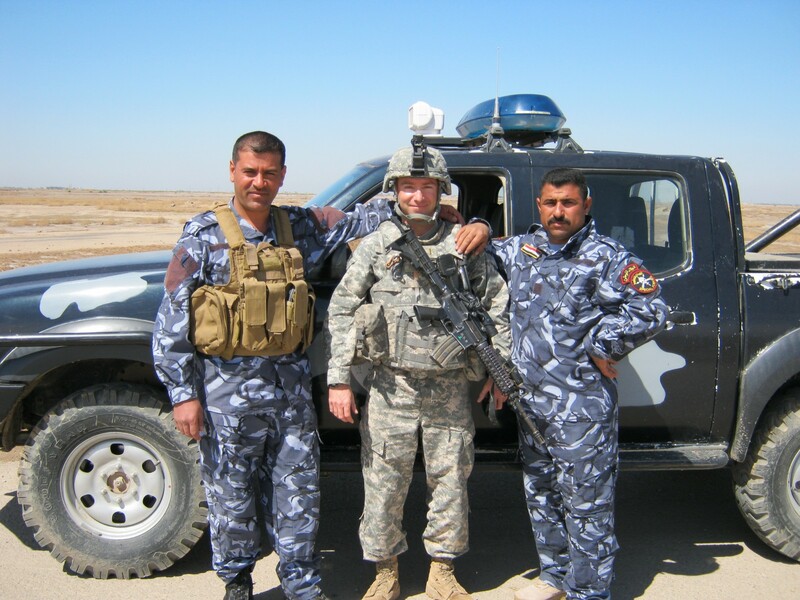 As an infantry officer, Rich’s continued mission was to lead platoons on patrol in an armored vehicle called an MRAP (mine-resistant ambush protected). There was no rest from the physical danger. Even at night, he’d frequently be awakened by a blood-chilling alarm to take shelter from rockets in a concrete bunker. While applying for grad schools, he saw a tweet about Dev Bootcamp and applied, despite never having done any web development. “It was a super-painful process,” he says of his studies. “There was an overwhelming amount of new material.” But rather than quit, Rich muscled through the classes, and realized he needed an apprenticeship and a place to learn. That’s when he found Signal. Rich on Chicago’s North Branch Trail. Joining Signal’s vendor team as an apprentice developer, Rich was productive and contributing code within a week. And the more he learned at Signal, the more he realized he had to learn. “The job is so hard,” he says. “It’s challenging for people who have been doing it for years.” But that, and a team he calls “most definitely the most rewarding, most fun, most wonderful people to work with,” is what makes Signal an adventure he can be on for the long haul. 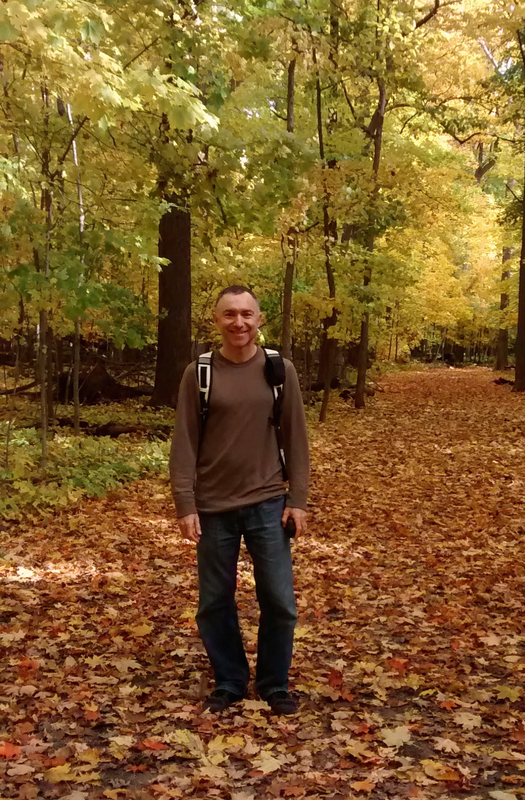 And if coding doesn’t provide enough of a thrill, Rich always has his newest pastime, hiking long trails with his gear, putting to use his navigation skills and spending nights in the woods as a backpacker. Next summer, he has an 80-mile expert-level weeklong trip to Wyoming planned. “You gotta give your mind downtime to process information,” he says. BESbswyBESbswyBESbswyBESbswyBESbswyBESbswyBESbswyBESbswyBESbswyAnd if coding doesn’t provide enough of a thrill, Rich always has his newest pastime, hiking long trails with his gear, putting to use his navigation skills and spending nights in the woods as a backpacker. Next summer, he has an 80-mile expert-level weeklong trip to Wyoming planned. “You gotta give your mind downtime to process information,” he says.